Field of Green Grass Solutions, Inc. Comment: We are nearly ready to put our house on the market, but need the curb appeal of flowers or shrubs added to finish the picture. The grass is pretty well growing OK in the back and most of the front yard, but we have no flowers, nothing pretty, and are not the artsy type to do so. Comment: Remove hot tub, concrete walkway, wood deck. Install drainpipes, install concrete patio. Comment: Townhouse with 240 (20'x12') square foot back area. Need removal of existing flagstone. Augmentation of existing concrete pad. Would like stone or tile laid with border area for plantings. Trellis or other support created along existing fence for climbing plants. Comment: I would like to get an estimate for outside/ landscape lights that need to be repaired or replaced. Castro Valley Landscaping Companies are rated 4.72 out of 5 based on 354 reviews of 24 pros. 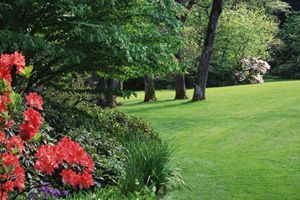 Not Looking for Landscaping Contractors in Castro Valley, CA?